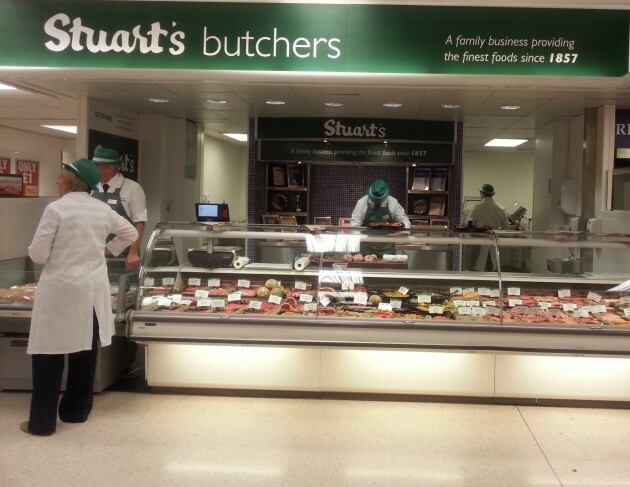 Scotmid Co-operative has opened its first in-store butcher shop, as part of a new partnership with local butchery, Stuart’s of Buckhaven. The butchery counter is now inside Scotmid’s South Queensferry store and will employ two full-time butchers from Stuart’s – a sixth-generation family run business based in Fife. Customers will be able to pick up a wide range of high quality and locally sourced meat, from sirloin steaks to more exotic products such as chilli and iron brew sausages. The butchery is also equipped with a traditional butchers block so customers can have their meat cut to order. Scotmid’s local butchery partnership with Stuart’s of Buckhaven follows the retailer’s partnerships with five Scottish craft bakers and the roll-out of bakeries in over 30 stores across Edinburgh, the Lothians, Fife, Glasgow and Aberdeenshire.